One of the things I like to do with my little guys over the summer is take them to an afternoon movie. 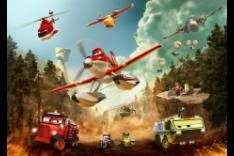 The other day my oldest son and I were sitting down and looking at movies releaseing this summer and the one he got my most excited about was Disney's Planes: Fire & Rescue!! 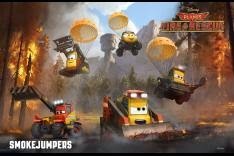 of brave all-terrain vehicles known as The Smokejumpers. 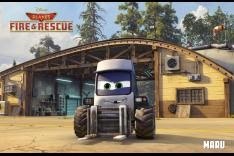 “Planes: Fire & Rescue” hits theaters in 3D on July 18, 2014.